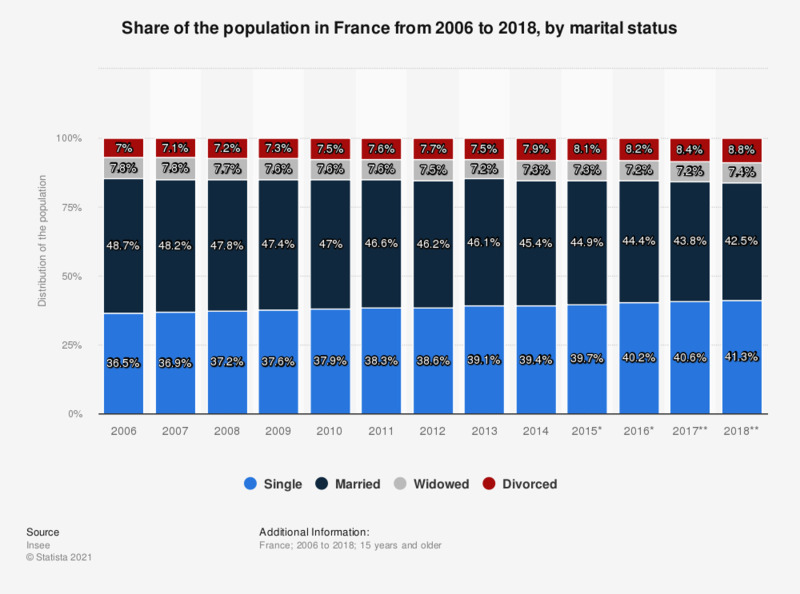 This graphic shows the proportion of single, married, widowed and divorced people above 15 years old in France from 2006 to 2018. In ten years, the percentage of married persons decreased, while the share of single and divorced people rose. Starting 2014, Mayotte is taken into account. The source adds the following information: "Population as of January 1st."